How fair are the trials of Catalan pro-independence politicians? 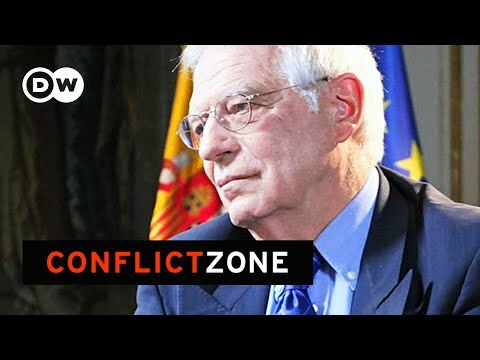 Deutsche Welle’s Conflict Zone put this question to Spain’s Foreign Minister, Josep Borrell. During the heated discussion, the politician walked off the set, but came back to finish the interview after speaking to his aides. Conflict Zone is Deutsche Welle’s top political interview. Every week, its hosts Tim Sebastian and Michel Friedman are face-to-face with global decision-makers, seeking straight answers to straight questions, putting the spotlight on controversial issues and calling the powerful to account. Aquesta entrada s'ha publicat dins de english: adults per englishtime. Afegeix a les adreces d'interès l'enllaç permanent.